On September 14, the Fondation Louis Vuitton inaugurated a new permanent exhibition retracing the architectural design process behind Frank Gehry’s amazing building. 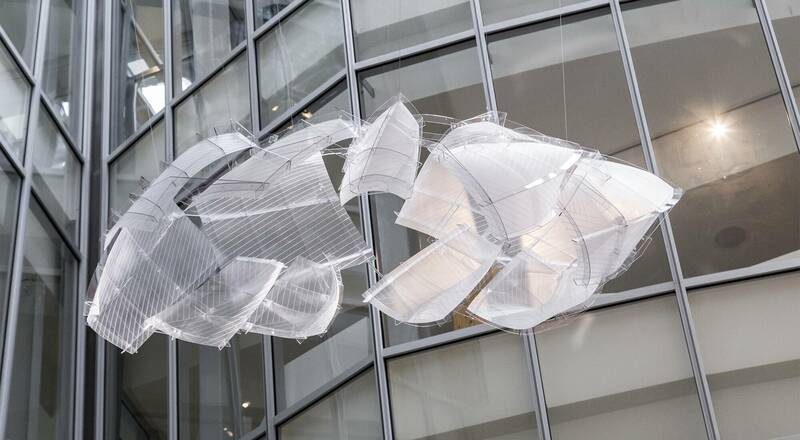 In conjunction with the event, Frank Gehry is taking part in a conversation with artist Daniel Buren that will be streamed live on the Fondation Louis Vuitton YouTube channel. 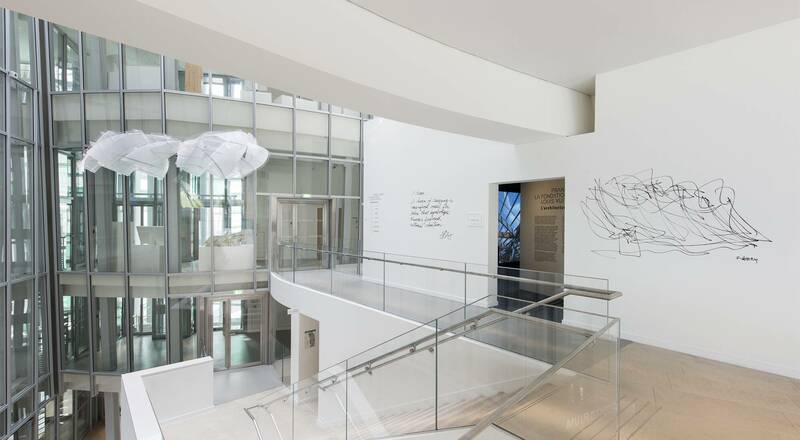 To showcase the creative process behind this stunning edifice, the Foundation Louis Vuitton has opened a new permanent exhibition, an “architectural journey” that explores how the Foundation developed. Prepared in collaboration with Frank Gehry’s studio in Los Angeles, the architectural journey proposes a unique visual experience, including video projections, as visitors discover the sole staircase where the steel structural walls have been left exposed. The successive landings present the different stages of the project, from the initial sketches to the final scale models, detailing the construction, materials, design, as well as the context that spawned this incredible building. Frank Gehry will be on hand for the inauguration of the new permanent exhibition at the Fondation Louis Vuitton, and for a conversation with artist Daniel Buren, who has created a striking colored temporary installation on the Foundation’s sails. Their discussion will be streamed live at 8 pm Paris time on the Fondation Louis Vuitton YouTube channel.